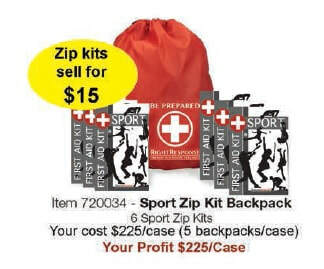 Speed up your fundraising with Quick Sell Backpacks that inspire participants to sell more! 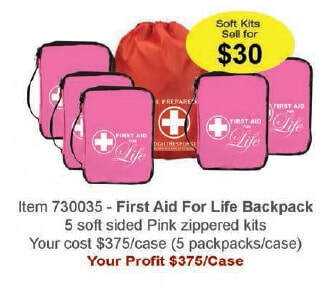 Each backpack features our most popular first aid kits, delivering a 50% profit with every sale. 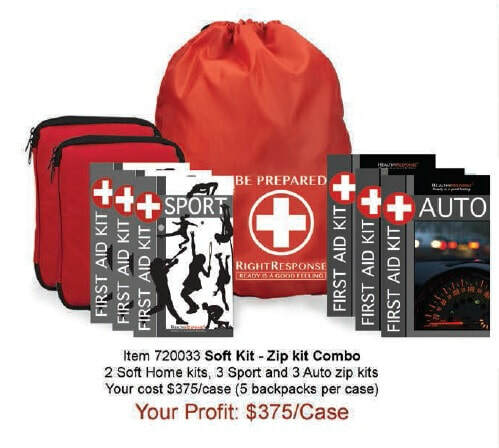 Buyers get their kits immediately as your fundraising income rises. 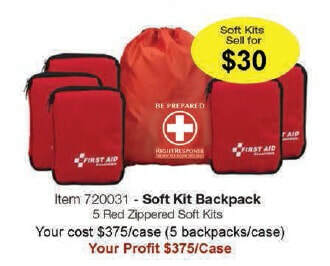 Earn more by using our first aid kit catalog with your backpack sales, pushing your profits even higher! 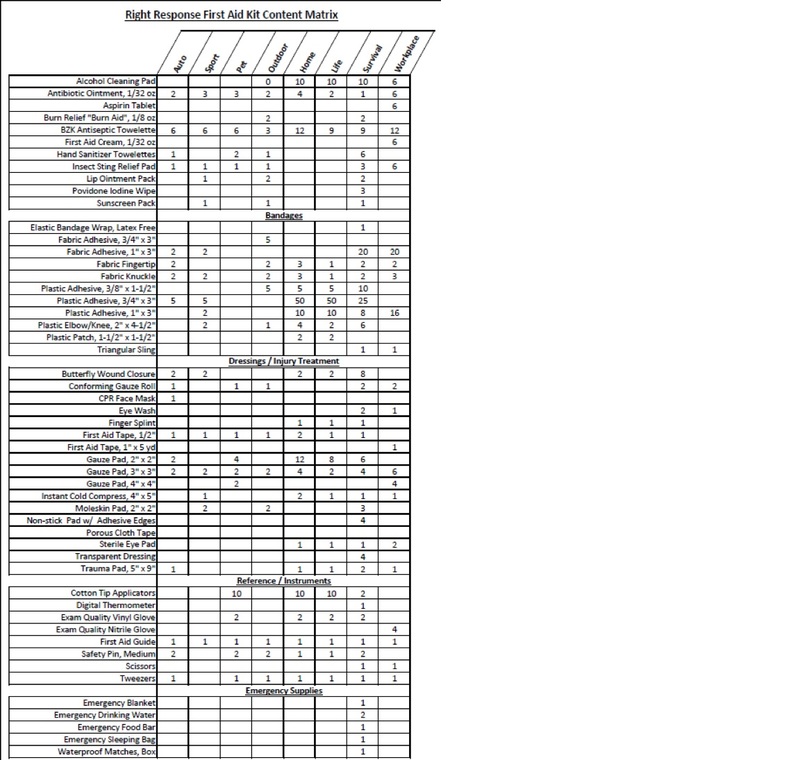 Backpacks are ordered now with payment due in 30 days. There are no returns.